Cable modems connect a home network to the residential cable line of an Internet service provider. These modems plug into a broadband router on one end, typically via either a USB cable or an Ethernet cable, and a wall outlet (leading to the residence's cable feed) on the other end. In some cases, consumers should buy these cable modems directly, but in other cases, they should not, as described below. The Data Over Cable Service Interface Specification (DOCSIS) standard supports cable modem networks. All cable broadband Internet connections require the use of a DOCSIS compatible modem. Three different major versions of DOCSIS modems exist. DOCSIS versions 1.0 and 1.1 were both made available in the late 1990s. They are obsolete now in most parts of the world. These modems support up to 38 Mbps for downloads and 9 Mbps uploads. DOCSIS 2.0 supports the same 38 Mbps download speeds as 1.x but increases the maximum upload bandwidth to 27 Mbps. Newer D2.x modems also can support IPv6 (check the product documentation to confirm). DOCSIS 3, versions 3.0 and 3.1, all support IPv6 plus support much higher bandwidth connections than D1.x/D2.x, over 100 Mbps. They are also backward compatible with older DOCSIS versions and networks. You will typically want to acquire a D3 modem for their cable Internet. Although the prices for new D3 modems can be higher than for older versions, the price difference has lessened substantially in the past few years. D3 products should provide a much longer useful lifetime than older versions, and (depending on the provider's network setup) they may also enable higher-speed connections than older modems would. Note that some Internet providers historically have charged their customers higher monthly fees for using a D3 modem on their network compared to older versions (due to the increased network traffic that D3 modems can generate). Check with your provider to determine whether this is a factor in your buying decision. Your Internet terms of service require customers to only use modems supplied by the provider. Your Internet package requires using a residential wireless gateway device instead of a modem. You are likely to relocate to a different residence soon and can save money renting the modem. 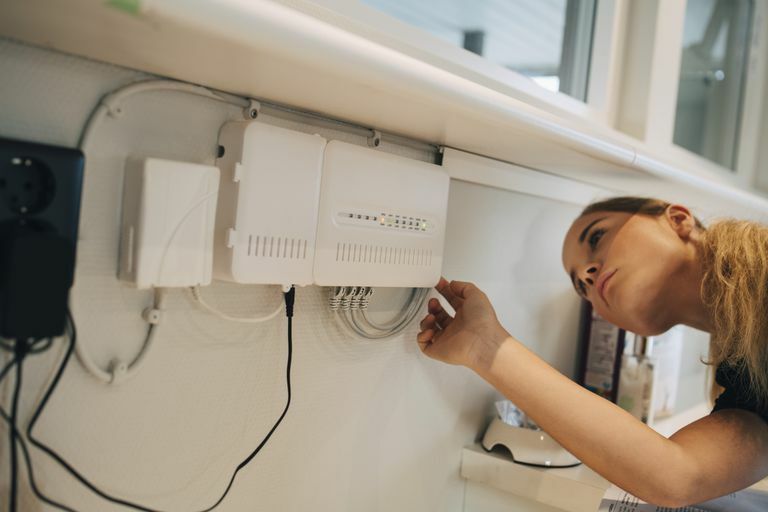 Unless you are planning to move to a different residence within a year or so, buying a cable modem saves money in the long run over renting one. In return for providing a unit they guarantee to be compatible, Internet providers often charge at least $5 per month to supply rental modems. The unit may also be a previously-used device, and if it fails completely (or especially starts acting flaky), the provider may be slow to replace it. To ensure you buy a broadband modem compatible with your Internet provider's network, check with friends or family who use the same provider. Online retail and tech help sites also maintain lists of modems compatible with the major providers. Buy the unit from a source that accepts returns, so that you can try out and exchange it if necessary. Some broadband providers offer their customers a unit that integrates the functions of a wireless router and broadband modem into one device. The wireless gateways employed for cable Internet have built-in DOCSIS modems. Subscriptions to combined Internet, television and phone services sometimes require using these devices instead of standalone modems. Check with your provider if unsure of their requirements.